Are you working on a design and need a few ideas to give you that creative push? 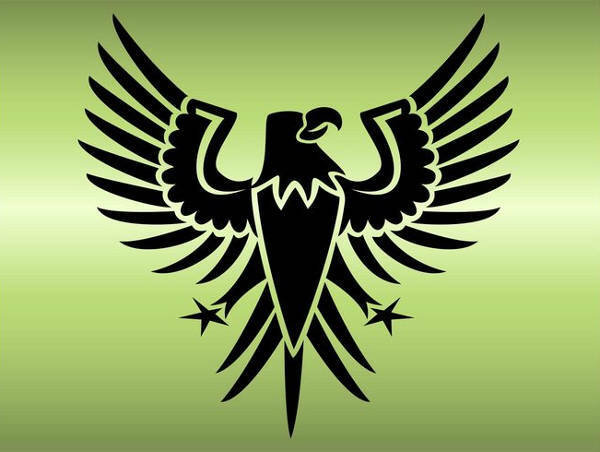 Are you planning to initiate a company or an organization at school and feel as if you want a powerful and intelligent creature to stand as an avatar? Are you working on a presentation that you think might need a bit of oomph? 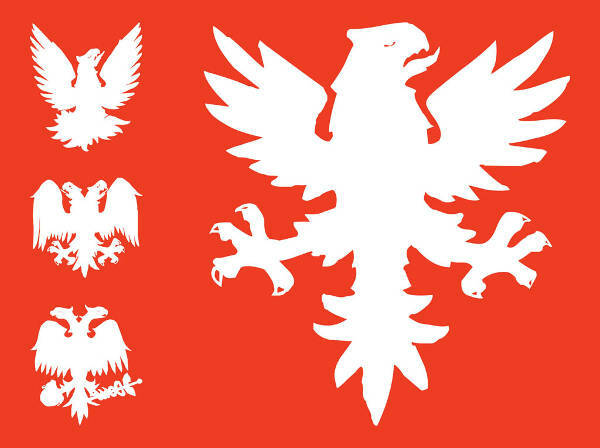 Look no further than this page as we just might have the answer for you with this array of great eagle silhouettes. If you are looking for more options to base your design on, feel free to scroll through our list of Free Silhouette Designs. 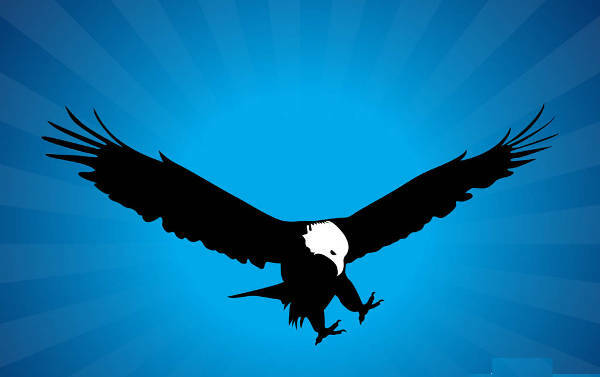 Eagles are amazing creatures and are associated with different kinds of symbols. Most of these symbols are connected with the ideas of power and freedom. Pore through this list of eagle factoids to find out why. Eagles can see five basic colors compared to the meager three that humans do. With their keen vision, they are able to observe the movements of aquatic prey from the above the sea level and are said to have the ability to spot a rabbit from two miles in the air. 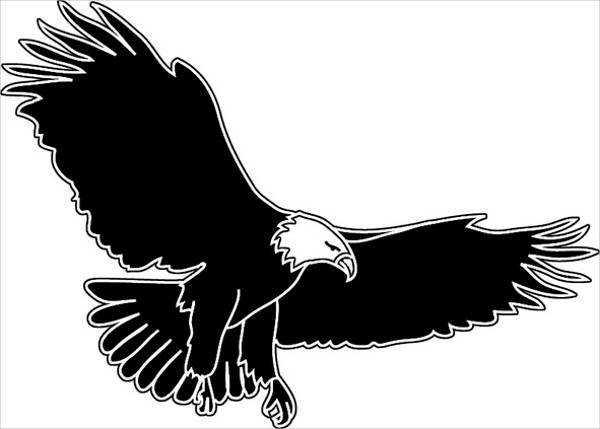 In several countries, eagles have been used to hunt deer, goats, wild cats and even wolves. Their claws are so strong that they can crush their victims’ heads, killing them instantly. In Hindu mythology, one of the divinities is portrayed with the beak and wings of an eagle. In the myths of Ancient Greece, it is the favored animal of Zeus, the king of the gods. The feathers of an eagle have also been considered to symbolize worthiness as Native Americans presented these as gifts only to those who they believe deserve them. Check out more designs featured in our Silhouettes Vector list. Animal Silhouettes are among the more interesting shapes that you will find anywhere. Eagles are no exception. They project that aura of mystery, vitality and power that is so popular in several types of designs. 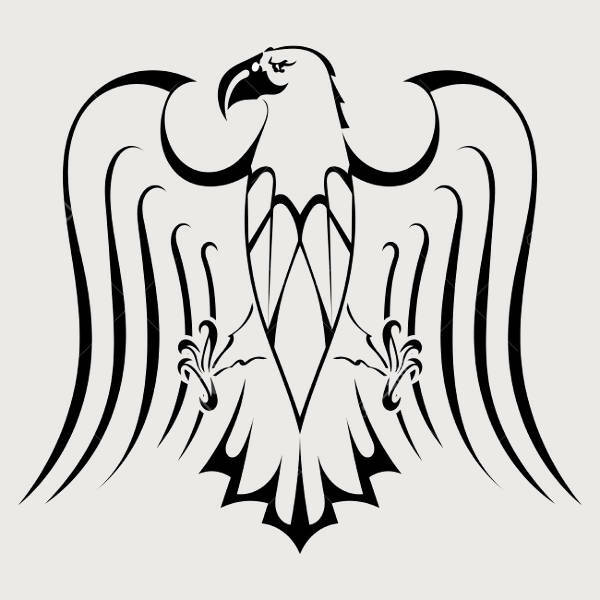 Known as the “King of Birds”, eagles have been used as symbols of power and are even featured in the coats-of-arms of as many as 25 countries. 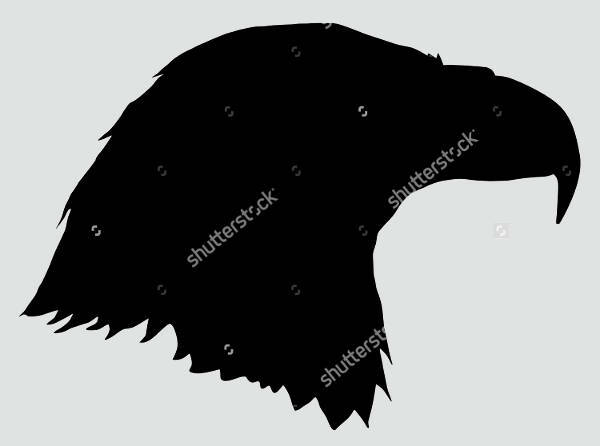 So whether or not you are starting a company or just want an avatar for a school organization, you definitely will not go wrong with eagle silhouettes as your logos. Choosing the kind of tattoo you want to have requires a lot of time and a lot of thought. You really don’t want something you’ll regret in the future permanently etched onto your skin for everyone to see, now do you? 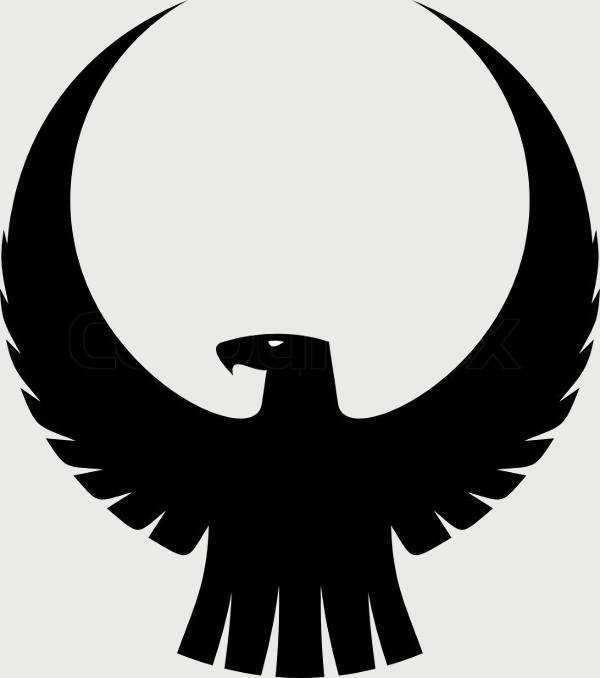 Eagles not only represent power, but freedom, as well. 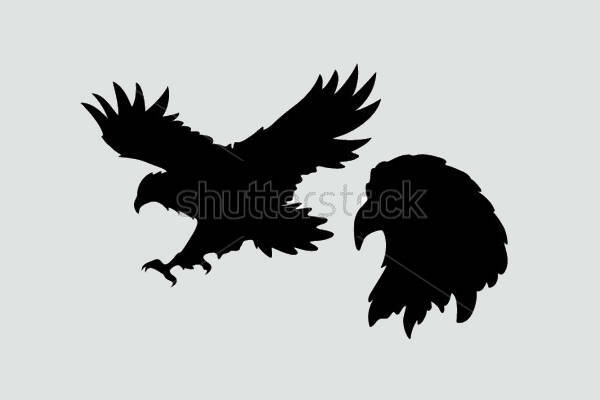 If you believe that this amazing creature may represent what you stand for, then build your design around one of these silhouettes. Who says that only flowers, ribbons, lace and all those cutesy little designs are the only things that you can put in a scrapbook? 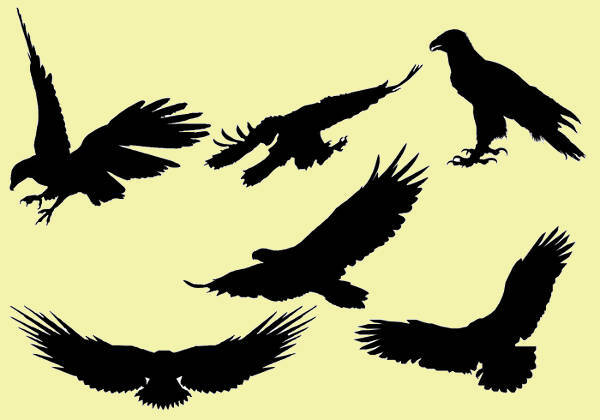 Give your mementos an edgy and wild feel with these eagle silhouettes.